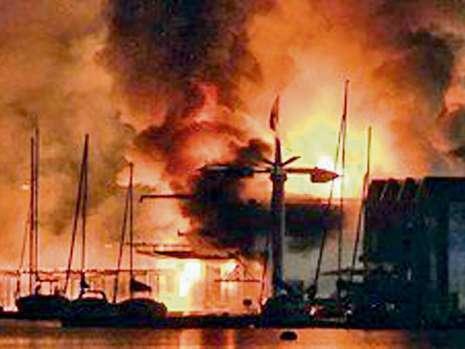 A yacht designed a built by Ferdinand Porsche in 1947, the Sia, was destroyed in a fire that swept through an exclusive Austrian marina last Friday night. 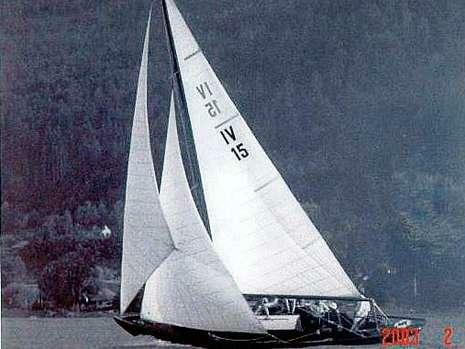 Hans-Peter, Porsche's grandson had the boat fully restored in 2006. Porsche confirmed the loss in a statement to Germanany's Bild am Sontag. Hans-Peter noted the family was very upset and that many personal memories belonged with the sailboat that could not be replaced. In addition to the Sia, a 14 meter yacht belonging to Hans-Peter Porsche's cousin, Ferdinand Piech (chairman of the VW board) was consumed in the fire as well. Surprisingly, Piech was on board just hours before the fire celebrating his 72nd birthday. Fortunately no one was hurt. Dousing the fire required the work of 160 firefighters. After early investigations the fire appears to have been caused by a faulty electrical cable or circuit. Arson is not suspected at this point.